Connecting Croatian companies and athletes is important for enhancing the image of Croatian products in the world. The best Croatian athlete of all time Sandra Perković and the President of the Podravka Management Board Marin Pucar concluded a Cooperation Agreement naming Sandra Perković the ambassador of Podravka’s Vegeta Natur products. The agreement was signed on Thursday, 25 October, during the Days of Croatian Tourism conference organized by the Croatian Ministry of Tourism, Croatian National Tourist Board, and Croatian Chamber of Economy, that took place on the island of Hvar. “We are proud of the fact that Sandra Perković, our most successful athlete of all time, has joined our big Podravka family. It is a great pleasure for us to connect our company with the best of the best, the top achievers who share the important values of Podravka, like hard work, ambitious goals, and striving toward excellence. 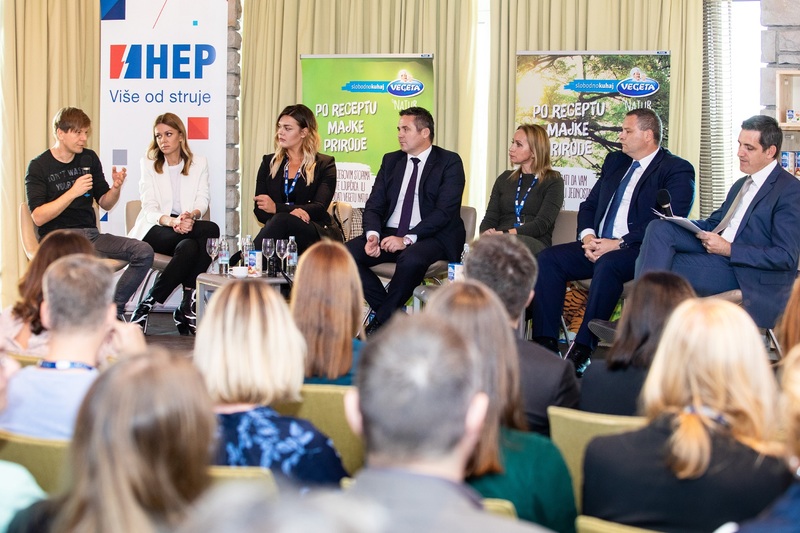 These values are the foundation of Sandra’s great achievements in sport, as well as Podravka’s business success”, said the President of the Podravka Management Board Marin Pucar at the agreement signing ceremony, wishing Sandra to win the well-deserved award for the best female world athlete this year. Podravka’s brands and products are present on more than 60 international markets. Vegeta, the most renowned original Croatian product, has become a kind of phenomenon. Over almost six decades of its existence, Vegeta has entered the kitchens of consumers worldwide. Throughout the years, in keeping with the trends on the culinary market, Vegeta has expanded to include new product categories like Vegeta Natur. The Vegeta Natur products have been enhanced with completely new recipes and combinations of carefully selected vegetables and spices, with the message “According to Mother Nature’s Recipe”. Sea salt brings the recognisable high-quality taste of nature, turmeric is responsible for the golden hue, and the specific garden-like aroma and flavour are due to lovage. 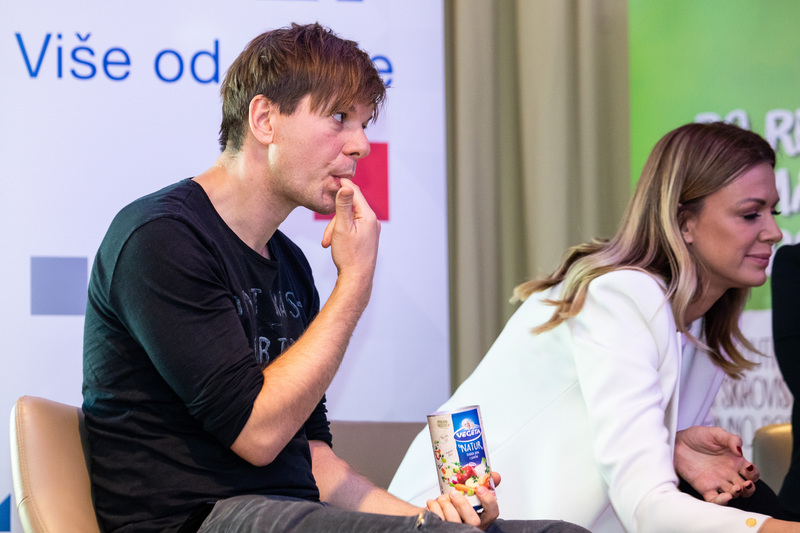 A panel entitled Croatia – Small Country, Great Brand also took place at the Days of Croatian Tourism, with the participation of Davor Bruketa, Jadranka Primorac, Aleksandra Dojčinović, Kristijan Staničić and Božo Skoko, in addition to Marin Pucar and Sandra Perković. 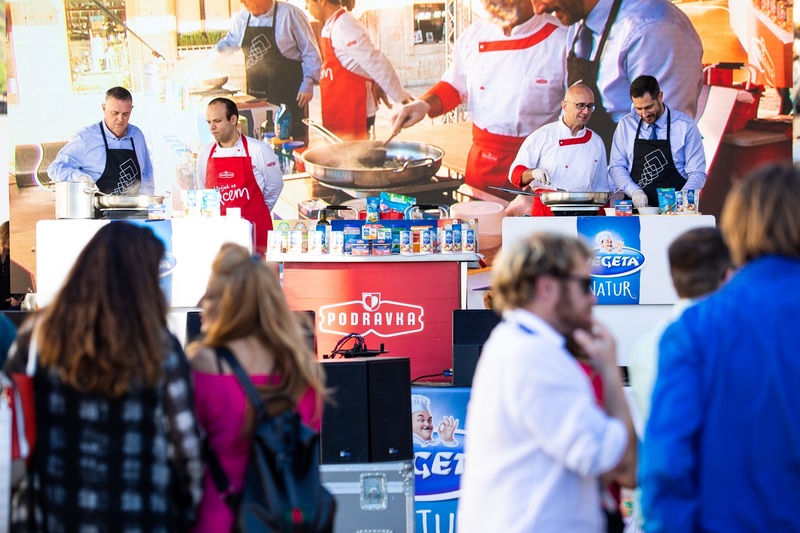 Marin Pucar emphasized that Croatia should endeavour to expand its popularity in the field of tourism and sports to other areas, especially in terms of enhancing the image of Croatian food products.